Beautiful 2 bedroom/2 bath home located in the resort community of Trilogy at Power Ranch! Split floor plan, kitchen opens to dining and great room with built-in desk/office area. Low maintenance desert landscaping in both the front and back with fruit trees and covered curved patio shaded by new purple plum tree. 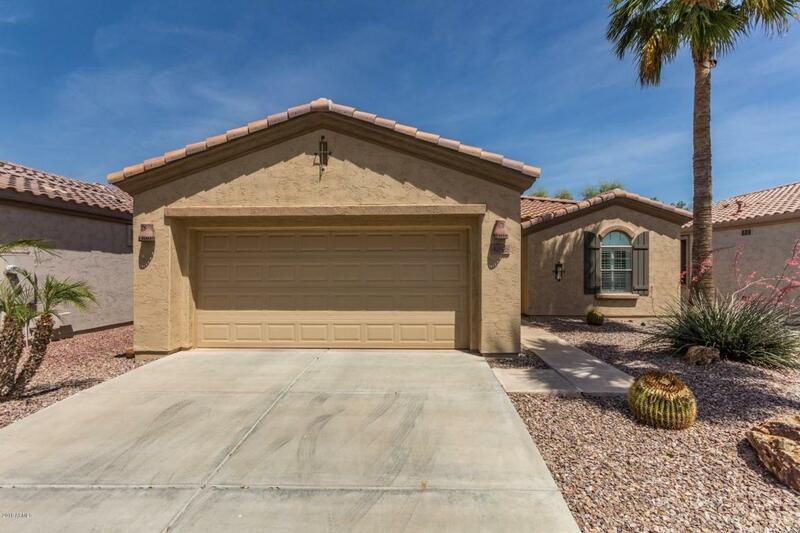 This is a guard-gated 55+ active lifestyle community that boasts a variety of clubs and activities along with tennis, swimming, fitness center and a gorgeous golf course and clubhouse all overlooking the beautiful San Tan Mountains.